Despite unanimous high regard for the Ambassador among the embassy staff and the Ambassador’s and DCM’s attention to the community, staff morale is not quite as high as expected for an operation so well run, in a pleasant and pro-American country. The principal reason appears to be the location of the NEC. This facility, which opened in 2003, has a very attractive, spacious, and well-designed interior, but it lies amid farmland and industrial warehouses, well outside the urban or even suburban reaches of Zagreb. Consequently, Croatians and third-country interlocutors rarely visit the Embassy; every meeting with a government official or other contact requires a bracket of up to an hour before and after in transit time; and the distance factor inevitably reduces the number of such meetings. In addition, the morning and evening commute consumes almost as much time as in cities with 15 times the population of Zagreb. Housing U.S. employees near the Embassy, as is planned, will reduce the commute but isolate them from the life of the country. 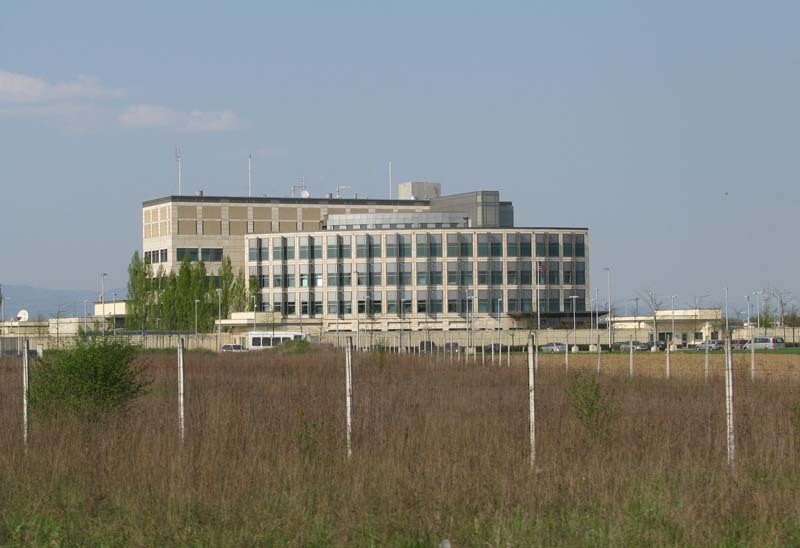 In 20 years, Zagreb may sprawl outward to reach the Embassy; meanwhile, the NEC’s location thwarts the primary purpose for its existence. Embassy Zagreb is paying for its safety with two decades or more of unnecessary staff transit time and aggravation. In addition to the location issue, the building is at least 20 percent larger than necessary for the staff now required in Croatia.